In 2016 Philippa Taylor approached us with an idea to create some Giffords Circus jewellery for the Painted Wagon tour. 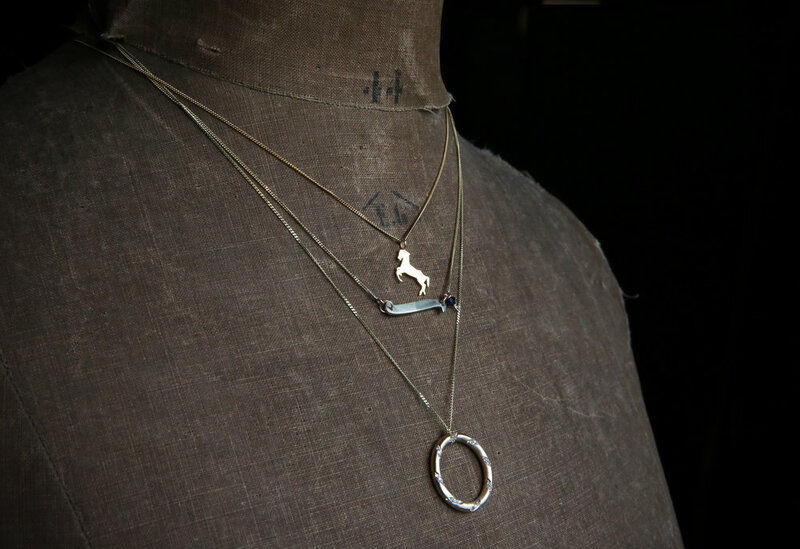 “I loved Giffords Circus and the iconography of vintage circus is lovely to translate in jewellery. Contrasting colours, shapes such as stars, it felt as though there was a lot of inspiration,” said Philippa. We loved the idea and Philippa’s jewellery so much that a creative partnership was born and a range of circus inspired pieces was designed and handmade, locally here in the Cotswolds. The circus collection includes ponies in gold and silver, a gymnasts lyra (hoop), circus bunting and banners, hula hoops and stars in contrasting colours such as black rhodium plated. This year to celebrate the ‘Any Port in a Storm’ tour shell inspired pieces were added and the most beautiful hand engraved compass pendant, with more pieces currently being designed for the 2018 tour. The jewellery is sold through Philippa’s shop in the marketplace, Tetbury and online www.taylorblack.co.uk where you can find all of Philippa’s collections and enquire about bespoke pieces too. Older PostHow do you say Goodbye?